Prior to joining DKP, Aaron worked at Ohio State University's Wexner Medical Center to support the revenue cycle in both the inpatient and outpatient settings. His responsibilities included conducting medical record reviews within the Epic electronic medical record software to ensure that clinical support documentation aligned with billed charges for chemotherapy drugs and administration, a role that required extensive knowledge of CPT coding guidelines and relevant government rules and regulations. Aaron's tasks also included daily charge report review and the development of efficiencies in the integration of daily reports and audits. In his current role, Aaron is responsible for providing monitoring and tracking support for the DKP PayerScope® market monitoring services for the commercial payer segment. He performs policy and reimbursement research, analysis, and client notification activities and works with the firm’s detailed payer tracking database, reports, and analytics to provide clients with actionable insights. 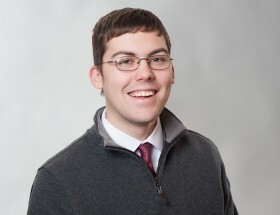 Aaron holds a Bachelor of Science degree in Informatics from Indiana University. 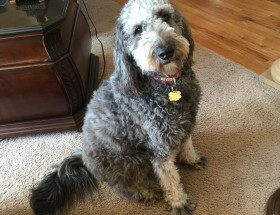 Molly is a Goldendoodle, born in May 2013. She is a lover of all animals and people and believes she is a lap dog stuck in a full-size dog’s body. Her favorite activities include long car rides, swimming, squeaky toys, and snuggling up for a good movie. Molly has never met a stranger and makes it a point to say “Hi!” to anyone or anything in sight.